Jürgen Essl was born in 1961. He studied organ and church music in Germany and France with Ludger Lohmann and Francis Chapelet, later completing his studies in Vienna with Michael Radulescu. During his varied career J. Essl has been organist at the castle church of Sigmaringen soon gaining an international reputation as organist, composer and teacher of improvisation performing all over Europe. Various compositions for organ solo, choir and orchestra have been published and performed throughout Europe, Japan and the U.S.A.
J. Essl has appeared on television as organist and conductor as well as recording for radio and C.D. 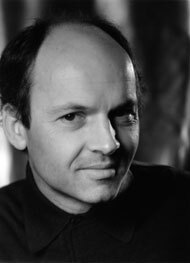 More recently he has been invited as a jury member for international organ competitions, and from 1997 to 2003 was Professor for organ and improvisation at the Musikhochschule Lübeck. Since 2003 is Professor at the Musikhochschule Stuttgart.